The nation’s leading Managed Print Services (MPS) company for health care, announced a new five year contract with LRGHealthcare in New Hampshire to implement its Managed Print Services program in the care organization’s Lake’s Region General Hospital and Franklin Regional Hospital. LRGHealthcare is the second hospital group affiliated with the Granite Healthcare Network (GHN), a partnership of five independent New Hampshire charitable organizations, to contract with CynergisTek. Last May, Wentworth-Douglass Hospital (WDH), one of the largest acute care and multi-specialty hospitals in the Seacoast region of New Hampshire and Southern Maine, contracted with CynergisTek as its preferred MPS solutions company. CynergisTek’s print services model will achieve cost cuts upwards of 20 percent in the care organizations’ print environment through volume reduction initiatives, device and supply chain management and improvements in document workflow processes. CynergisTek’s unique and proprietary MPS program includes a full time, on-site staff of print services experts who will work with LRGHealthcare’s management team and caregivers to deliver the company’s health care exclusive, vendor neutral print management services to the 160-bed hospital system that serves several communities in New Hampshire’s Belknap, Grafton, Merrimack and Carroll counties. 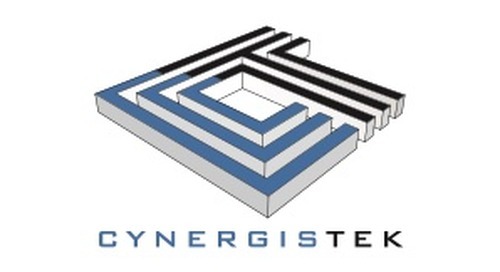 As the only vendor neutral, health care exclusive MPS company in the country, CynergisTek provides full-time, on-site teams of customer service and technical representatives to its hospital customers. It is at the forefront of providing specialized knowledge of hospital print environments that ensures cost reduction through continuous process improvements and strategies to reduce the production of documents substantially. Since December 2011, the company has doubled the number of hospitals in its national portfolio and provides its services to thousands of affiliated clinical and administrative facilities which will save in excess of $70 million for its current hospital customers over the next three to five years.